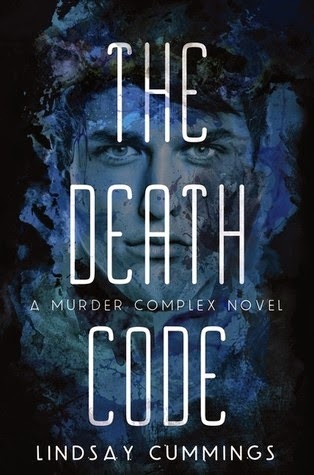 Official synopsis: "With short, fast-paced, alternating point-of-view chapters, The Death Code starts several weeks after The Murder Complex ended. Zephyr keeps the secret about Meadow close—that if she dies, The Murder Complex will be destroyed, too. Meadow, desperate to find her brother, father, and little sister, is determined to fearlessly fight to the end, even if it means sacrificing herself and her friends, new and old. The Death Codeintroduces a memorable cast of secondary characters and delivers a vivid and scary thrill ride read." Oh lordy! Oh lordy lordy lordy lordy LORDY!!! This book! Oh gosh I do not know where to start. Really, honestly and truthfully I don't! This book has been like something of a myth to me for so long. It was supposed to be coming but it felt like the wait just got longer and longer and longer, to the point where I wondered if it would ever come. That was how much I wanted, no... NEEDED this book in my life! I first read the first book in this two-parter, The Murder Complex, over Christmas 2013 and having to wait 18 months to see what would happen next and how it would all wrap up was so painful! But it came! It finally came and the book was everything I hoped and dreamed it would be. Just as explosive and bloody as it's predecessor, The Death Code sees our heroine, Meadow, on the run from the Initiative again, but now, things are worse. Way worse. They have installed a metal box on the back of her skull - they call it a regulator, and torture Meadow in ways she never thought possible. But she is just a determined as ever, if not more so, to find and rescue her family, and her search will take her beyond the Shallows and deeper into a country in complete and utter turmoil. Personally I enjoyed the book. There were however some aspects I didn't like, just as much as I loved. The ending did seem pretty damned rushed. The book, while fast paced by most books standards, felt slower than its predecessor, and it wasn't really until the last 100 to 150 pages that the pace really amped up and started to get exciting. But then BAMN. It was over. I was left begging for more, I tell you. Absolutely begging. There had to be more! There had to had to had to! Alas, there is not. My hopes for this becoming a trilogy have been dashed, as while the ending is open, it is clear that Meadow and Zephyr's story is finished the time being, and the fact that the acknowledgements confirm this saddens me greatly. I just wish this series never had to end. I have fallen head over heels for these characters and their ways. Meadow is really pushed to her limits in The Death Code. Her health is failing but she still goes on, fighting harder and harder, pushing on harder than she has the rest of her life, knowing that she is running out of time to do what she has to do before it is too late. Her fearlessness really shines in this book and proves just how much of an influential character she is. And Zephyr is struggling to be honest with Meadow and feels like he is losing her. This aspect of their relationship was fun to read, to see how their dynamic has been changed by the events they have faced together and the things they need to do in order not just to save their lives but the lives of everyone they love. This book, obviously being a closing chapter, has some very sad moments that made me want to put the book down so I didn't have to accept what was going on, and there is a twist near the end that made me reel before I forced myself to pick my copy up again and continue and thank god I did because that ending happened and I liked it, although it is very very open, WIDE OPEN, and it leaves me with hope that Lindsey might one day pick the characters up again. I beg you Lindsey... PRETTY PLEASE!! More Meadow and Zephyr please! More Koi! More Peri. Even Sketch... More Sketch, please! The writing, as ever with Lindsey, is top notch. So fluid and fast and immersive and totally faultless. It draws you in so deep that you cannot get enough, falling deeper into the world of the Shallows and the secrets of the Murder Complex and what Meadow's connection to the system means and the consequences it brings. Overall the book is a satisfying conclusion to what has been an, albeit too brief, fantastic series. I cannot praise Lindsey enough, or thank her for such an amazing reading experience over the last few years - I cannot wait to see what the future holds and finally get around to reading the Balance Keepers books too! I also cannot recommend these books enough. If you want a fast paced, high-octane read that you'll speed through and fall totally in love with, then The Murder Complex, and The Death Code are for you! I really want to check out this series! It sounds really amazing.